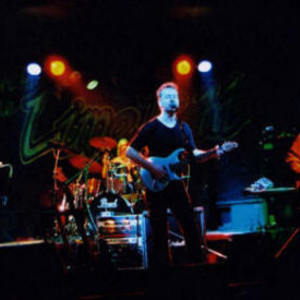 http://www.darwinsradio.co.uk DARWIN'S RADIO is a four piece progressive-rock outfit from the south of England. Their music is described as powerful melodic rock, with thoughtful lyrics, dynamics and excellent tempo changes. The band released their debut album ?Eyes of the World? in April 2006, and was written, performed, arranged & produced by Mark Westworth (Keyboards), Dec Burke (Vocals & guitars), Sean Spear (Bass), and David Pankhurst (Drums). DARWIN'S RADIO is a four piece progressive-rock outfit from the south of England. Their music is described as powerful melodic rock, with thoughtful lyrics, dynamics and excellent tempo changes. The band released their debut album ?Eyes of the World? in April 2006, and was written, performed, arranged & produced by Mark Westworth (Keyboards), Dec Burke (Vocals & guitars), Sean Spear (Bass), and David Pankhurst (Drums). Previously Dec Burke and current drummer Tim Churchman played in the RUSH tribute band SPIRIT OF RUSH and Mark Westworh and Sean Spear were members of the Neo-Prog group GREY LADY DOWN. ?Eyes of the World? is currently receiving excellent reviews from the prog-community - the group are scheduled to play ROSFEST 2007 in the USA with FROST, PENDRAGON and others, and are also playing Summers End festival with ?THE FLOWER KINGS? in October in the UK. The band draws influences from PORCUPINE TREE, DREAM THEATER, GENESIS, RUSH, and MUSE to name a few. The live dates see a change in personal with the addition of new drummer Tim Churchman ? Mark. Sean Dec & Tim are currently writing material for their second album due in 2007.